Well. All I can say is I’m sorry I haven’t been writing. I miss it, but I literally haven’t had the time to post. We went on vacation for a week, and we’re also in the process of buying a house and trying to sell our current home. This of course involves packing and moving and cleaning and mounds of paperwork. And I’m also teaching a Poetry Workshop right now, gearing up for another Latin Camp, trying to think about organizing my materials for my classes starting up in the fall… oh yeah, and I’m a full-time SAHM, too. And we’ve got more changes afoot than even all that entails! So… my plate has been just a wee bit full. Just a wee bit. 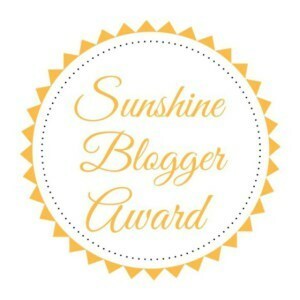 I have been nominated for some lovely awards and challenges, and I can’t wait to dig in and participate. I’ve got posts in the works for those things, but I just can’t find time to sit down and complete them yet; hopefully, after the move, things will settle down just enough for me to start finishing them. For right now, I just want you to know how much I continue to appreciate the follows, likes, comments, and encouragement! You all are just lovely. Finally, even though I can’t contribute much of my own material to the important dialogues going on right now, I’d like to share a few things that I’ve read that have been super helpful and informative for me as I process the issue of immigration in America this week–particularly the issues surrounding children. If this isn’t a gritty problem, I’m not sure what is, and I bet all of you feel the same. The Making of an Online Moral Crisis – Alexis Madrigal gives a remarkably thorough summary and analysis of all the information (and misinformation) that has exploded over the national consciousness on this issue… and a succinct meditation on how some of the most nightmarish things actually have the power to pull us together, not drive us apart. Tattoo – a classmate of mine from Mike Pence’s alma mater wrote this account of friendship with an illegal immigrant. If you’ve never met one, please allow Ben to introduce you. As I think of all it will take to move my babies five minutes across town in the next few weeks, I’m brought up short at the thought of single parents who have moved mountains of terror and death to bring their children to a new home in our country… only to have those children ripped away. I’m not ashamed of my privilege, but I sure as heck am not going to keep it to myself. If you live in the U.S., please call and write your congresspeople to help give these children and their parents a taste of the freedoms and safety we enjoy without thinking every day. World Relief has a very easy to use, no-strings-attached petition and email form to help you do just that. Remind our leaders that human rights have no borders, and that the future of these children could impact us all. If we’re that worried about terrorism, let’s not give them a personal reason to hate us.